At some point in all our careers, we are more than ready for the next challenge at work. Or, perhaps we’ve had our eyes on the prize all along, with a plan to move up the corporate ladder. While the old model of working at one company our entire careers has been replaced with a newer model of career advancement, it’s still possible to get ahead in your career by obtaining a promotion with your current employer — and this article will show you how. Here’s our list of the 15 best strategic tips for obtaining a promotion at work. Start with a self-assessment of your work performance. Before gearing up to request a promotion, take a hard look at every aspect of your work performance, from your work ethic and attitude to perceptions of how your boss, co-workers, and any other major stakeholders (customers, clients, suppliers) view you. The next tips will guide you with that assessment. Accomplishments. One of the hardest tasks for workers and job-seekers alike is quantifying work achievements. Keep a weekly log of your results — whether it’s how many widgets you produced or sold, how many customers you serviced, how many new clients you converted, and so on. Those folks who can document their successes — and their impact on the organization — tend to get the rewards. For more information, resources, and tools to help you with your accomplishments, go to our Career-Job-Work Accomplishments Resources for Enhancing Next Job Search, Promotion. Work ethic. Examine how hard you work at your job — and we’re not talking about just showing up on time and not leaving early. Work ethic is about how much effort you put into your job. Typically, the more you like your work — and your employer — the stronger your work ethic. Attitude. You don’t have to be “Cheerful Sally” — in fact, don’t be or you might not be taken seriously — but having a positive and go-get’em disposition is important. People like working with — and helping — co-workers with a positive attitude. Initiative. You may be very good at your job — and that is important — but do you ever try to push the limits of your work? In other words, do you ever consider better ways you could do your job — or better ways your department could function — and make suggestions to your boss? Just do not confuse taking initiative with knowing it all. Team skills. Review how well you work in teams, examining key issues such as communications, working relationships, team successes (and failures). Team skills are invaluable at all levels within an organization, and certainly necessary for a promotion. For a reality check, you might consider asking a few teammates for some honest feedback. You might also want to take our free teamwork assessment, Are You a Team Player? A Quintessential Careers Quiz. Education, skills, training. You obviously had the right mix of education, skills, and training to land your current job, but have you been continuing your education — not only staying ahead of trends for your current job, but obtaining additional training that could propel you to the next level? Avoid spreading the gossip — or being part of it. Nothing can derail someone’s future with an organization faster than negative information — and being involved in gossip in any way is the fast path to the end of your career with your employer. Sometimes you can’t avoid hearing the rumors, but you can choose not to spread them. And you never want to be the subject of those rumors either. Perceptions play a major role in how you are judged by your supervisors and bosses. Volunteer for additional tasks. A great way to get noticed by the bosses — and gain additional experience and contacts — is to volunteer to take on additional projects or assignments. Asking for more work shows your interest and desire to help your department and company to succeed — as well as putting a spotlight on your value to the organization. Don’t do it alone — find a mentor. One of the smartest moves any worker can make is finding one or more mentors to help guide your career forward. The ideal scenario is having at least one mentor within your employer and one outside your employer (but within your profession or industry). A mentor is a key member of your network, someone more established in your career field who can offer advice, support, and more. Read our free article, The Value of a Mentor. Research best next step for you. One of the challenges some people face is not knowing what’s the best next step for their career. In fact, many people get promoted to positions outside their passions — which eventually results in job burnout and disillusionment. Take proactive steps to decide what’s best for you — and remember to not just look up, but also laterally. Practice self-promotion. One has to tread a bit carefully here — there’s a fine line between self-promotion and bragging — but the cliche that no one will toot your horn unless you do is especially true in today’s overworked, understaffed workplace. Share your career goals with boss/supervisor. All good bosses want their workers to succeed — because their hard work makes the boss look good and helps lay the groundwork for his/her next promotion. Assuming you have a good rapport with your boss (and if you don’t, you should first work on building that relationship), talk to him or her about your career goals; you might be surprised how helpful that conversation can be. Review and apply to internal job postings. Sometimes your boss has no way of promoting you — even if you are deserving of such — and if you work for a fairly large organization, you may find the best way to obtain your next promotion is to apply for a job in a different department or division. Before doing so, though, discuss your options with your mentor(s) and your boss (assuming a good relationship). Create your own opportunities by suggesting a new position. With all the organizational changes that occur within many employers, it’s possible that you discover a strategic gap that needs filling — with you, of course, being the perfect person to fill it. Consider writing a proposal to the bosses suggesting the new position. Even if the company does not go for the new position, you have shown your initiative, creativity, and value to the firm — and these things can only help you the next time you request a promotion. 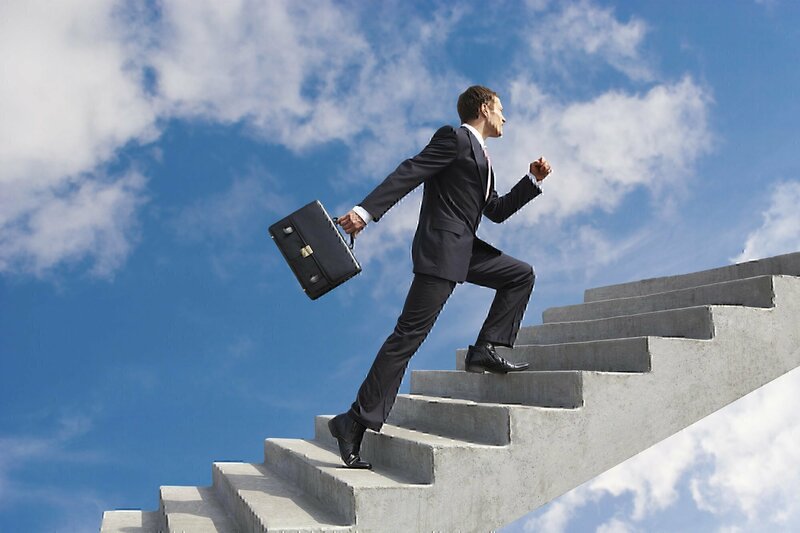 By following these expert tips, you should be in good shape to strategically prepare yourself for obtaining a promotion with your current employer. A note to younger workers about taking responsibility: Blame it on your permissive or overly protective parents, but one of the biggest complaints we here from bosses of younger workers is that young employees have a hard time taking responsibilities for their actions — and especially for their mistakes. If all else fails, consider employment with another organization — or even start your own company. Only you can decide what opportunity is the correct one for you, but even if you love your employer, if there is no room for advancement, it may be time to seek other work ventures. Finally, remember that a promotion is not always the right path to take. If you are already struggling with work-life issues or burnout, it might be better to consider ways to reduce your workload, not add to it. Your job title should not define you.